True Lure No Kill hunters and their deer heads. 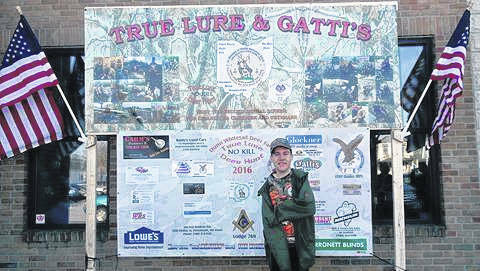 On Saturday, Dec. 16th, Dunn Whitetail Deer Farm’s True Lure No Kill Deer Hunt held their 2017 banquet at Gatti’s Pizza in Portsmouth where the participants were then presented with mounted heads to commemorate their hunting experience. The No Kill hunt celebrated another successful season of providing disabled Vets and children the opportunity to experience a realistic hunt, without causing any harm to the animal. What would normally be a routine procedure of providing the animal with annual vaccinations and tending to their antlers, has been adapted and utilized to give a special experience to those who are unable to hunt under regular circumstances. By using a dart gun, and then presenting a mounted Deer head to the individual at the end of the season, Dunn is able to give that experience to someone and allow them to be a part of a tradition that lies in the heart of Appalachia. “I think it’s amazing. I think this is great for the kids and great for the area and it’s a great turnout. Very Impressive.” Dr. Taylor Babcock said. 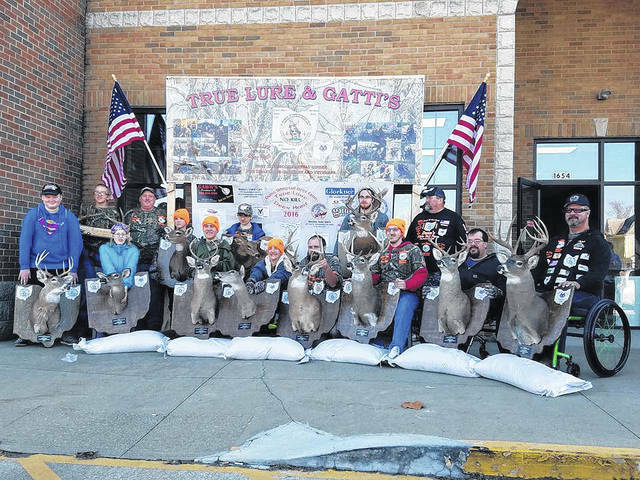 The capes that are presented to the Hunters along with the trimmed antlers of their deer, are donated by Dave Euton of Euton Deer Processing in McDermott. 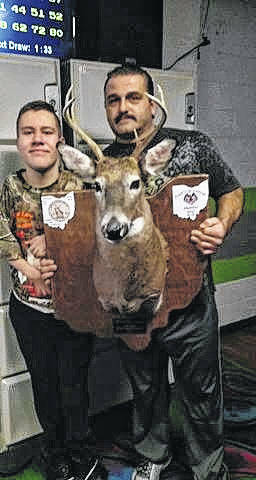 “I process the deer, and the capes that the customers don’t want, if they are really nice ones and taken well care of, then I cape them out and we take them to the taxidermy shop and then I am able to donate them to him (Dunn) so the kids can see what they got,” Euton said. Isaiah DeLotell, 14, is a hunter who got to participate in the hunt for the first time this year. “It was really fun,” DeLotell said. “It was a great experience and I want to do it again next year. Bill Robinson, who found out about the True Lure No Kill Hunt through a family member that participates, has decided to donate a buck to Dunn’s farm. “I found out he has had a couple of deer poached in the last couple years, so I decided to give him one of mine so he can continue to do this with these handicapped kids. I think it’s probably the most awesome thing I’ve ever seen, as a deer hunter and a farmer myself, it’s really cool to see because no one else does it,” Robinson said. According to Todd Dunn of True Lure No Kill Deer Hunt, Paul Duckworth has been a huge contributor to the hunt. “I helped him get started and I’m still sponsoring him,” Duckworth said. “A lot of this is because of him,” Dunn said. “Being able to be a part of this, it just doesn’t get any better than this. This is why I do this, some of these kids don’t know how much longer they’ll be there, and the same for the vets. We’re able to give them a hunt and they don’t have to kill the deer,” Dunn said.